Casino Superlines is an new online casino that opened its doors in the beginning of 2017. The brand is currently owned by Equinox Dynamic N.V. and operated under an Curacao eGaming license. In this instant play casino you will find hundreds of the best casino games. Most of these games are provided by NetEnt, NextGen ..
Casino Superlines is an new online casino that opened its doors in the beginning of 2017. 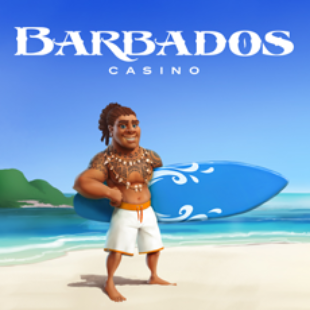 The brand is currently owned by Equinox Dynamic N.V. and operated under an Curacao eGaming license. In this instant play casino you will find hundreds of the best casino games. Most of these games are provided by NetEnt, NextGen Gaming and Amaya. But also Lighting Box, GameArt, ELK, Ainsworth, Fugaso, Leander Games, 1X2 Gaming and Nektan supply games to this online casino. Because of this it is possible to offer a wide range of online slots. Casino Superlines focuses on delivering great support, the best bonuses and a good variety of table games. The live chat is available 24/7 and the whole casino is protected by and state of the art SSL encryption. Games are proven fair by independent testing agencies and the mobile experience is great. 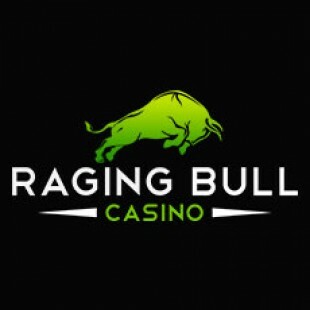 For more information about this casino, please continue reading this review. All readers of this Casino Superlines Review can take advantage of a very generous offer. Simply sign up using the bonus code ‘’BBC5’’ and collect €5,00 Free after sign up. And during your first deposit you can take advantage of an whopping 400% welcome bonus. Collect your personal bonus on this page! At Casino Superlines you will find an expressive collection of video slots. In the gaming lobby it is possible to filter and select all the available video slots. It is also possible to filter to all slots by a certain provider. With the amount of suppliers Casino Superlines has to offer you can guarantee yourself from hours of fun. We tried some of the slots and we can always recommend the classic and new games by NetEnt. All new titles such as Jungle Spirit, FairyTale Legends and Wild Wild West are currently available at Superlines. But you can also choose to try some classics including Starburst, TwinSpin and Gonzo’s Quest. But not only the NetEnt games are great to play. We noticed some other exciting games in the gaming lobby. We recommend trying for example Batman, Cash Stampede and Double Play SuperBet by NextGen. Or Texas Ranger’s Rewards and 88 Riches by GameArt. Like to play some games with great visuals and actions? Then we recommend Hong Kong Tower and Electric Sam by ELK Studios. Visit the gaming lobby to have an complete overview of all the available games. In the gaming lobby you will also find an impressive collection of virtual games. During these games you can bet on different kinds of virtual sport events. Some of the most popular game modes are the virtual horse races, speedway and greyhounds. But you can also try your luck on cycling, speedway, trotting, tennis and many more. Check out the virtual games lobby for an full overview of the available games. Players who like to play table games are also welcome at Casino Superlines. After joining you can join the roulette, blackjack, poker tables or other variety games. The table games section include popular such as Baccarat, Race the Ace and Six Shooter. It is also possible to play Craps, Sic Bo and Keno. Blackjack is available in different varieties including Blackjack Surrender and Blackjack Switch. You can also play Roulette in a few different modes. Including American, Zero Spin and Premium. Enjoy the thrill from the land based casino from the comfort of your own home. Join the Extreme Live Casino and play some of your favourite table games. In the Live Casino you will find many popular game types. The live section includes Blackjack, Roulette, Baccarat and Casino Holdem. The Roulette is available as European, Club, Golden Ball and Sizzling Hot. 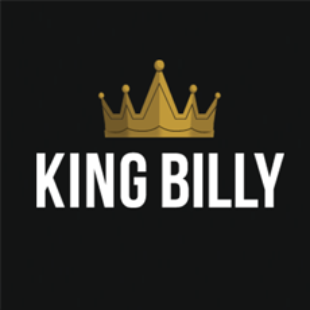 Blackjack can be played with high stakes (VIP) or regular stakes. Visit the live casino section for an good impression of all the available games. In Casino Superlines Casino you will also find a nice portfolio of classic slots. In the portfolio you will find multiple great slots including 3 or 5 reels. Some of our favourites are the Lemon Slots, Banana Slots and Devil Slots. You will also find Video Poker, Micro Bet and VIP Games in Casino Superlines. Besides that there are more than 20 kinds of scratch card games to play. These games include the very popular 7 Gold Scratch and the Grand Prix Gold. In the Action Games section you will also find some additional Keno games including Instant and Traditional Keno. This section also includes Fortune Wheel, the Reels of Fortune game and Hot Fruits. Want to try out this cool new casino? Then we can offer you some great exclusive bonuses. With these bonuses you can collect some free casino money after sign up. And after that you can boost your first three deposits with some extra bonus money. Below we will explain every bonus Casino Superlines has to offer! All readers of our Casino Superlines Review can collect an exclusive €5,00 No Deposit Bonus. Simply sign up using the bonus code ‘’BBC5’’ and take your personal bonus today. Click this link to navigate to the Casino Superlines website. Fill in a user name, email address and drop the right bonus code in the registration code field. Continue your sign up by leaving some personal details and send them in. After that, activate your account by clicking the activation link in the email. Once you verified your email address the €5,00 bonus money will be in your account instantly. Casino Superlines also offers a very generous Welcome Package. In this package you will find 3 huge bonuses that you can unlock during your first three deposits. Below we will explain every bonus in a few words. At Casino Superlines you will need to wager your deposit including bonus money a total of 30 times. So keep that in mind after accepting bonus money. Every new player can boost its first deposit at Casino Superlines. After signing up with the Registration Code BBC5 you can collect €5,00 Free + a 400% Welcome Bonus. For example; when you deposit €50,00. Casino Superlines will award you with €200,- bonus money. So you will be able to play with €250,-. And when you deposit €250,00. The casino will award you with the maximum bonus of €1000,00! Because of this you can play with a total of €1250,-. At Casino Superlines the fun doesn’t stop after you first deposit. Every second deposit will be matched up with another generous bonus. Every euro you deposit will be matched up by the house with a maximum of €1000,00! For example; when you deposit a total of €100,00. The house will award you with €100,- in bonus money. After your first two deposit bonuses you can collect another welcome bonus on your third deposit. Every third deposit will be awarded with 200% bonus money. This welcome bonus is capped at a maximum of €1000,00. To collect the maximum bonus, make sure you make a deposit of €500,00. Of course it is also no problem to make a smaller deposit. Deposit a minimum of €20,00 to unlock the third welcome bonus. At Casino Superlines you can also boost your welcome bonuses by making a payment with selected deposit methods. When you use one of the selected methods you will get an additional 15% bonus on your deposit. UKash, Skrill, PostePay, Giropay and Sofort all qualify for this additional welcome bonus. Bonus money from the payment method bonus must be wagered a total of 50 times. You can unlock this bonus by making a minimum deposit of €20,00. This weekly offer will make your weekend start great! Make a deposit between 2:00 and 8:00 pm GMT and get an extra 100% on all your deposits. But this one in your agenda and take advantage of this bonus every week! With the Casino Superlines VIP Program it is possible to receive even more benefits as an loyal member. The more you play, the better the rewards will be. Every player will start in the Bronze tier. Which grants the welcome package, loyalty promotions and cash points for every €10,00 you wager. After this first Tier you can also get into the Silver, Gold and Platinum Tier. By getting in to better Tiers you will gain access to more cash points, monthly cashbacks and a dedicated account manager. Platinum members will also gain access to the Monthly Prize Draw. And you know what’s also nice? On cash points there will be no wagering requirements whatsoever. Check the Superlines for more information about the tier system. Casino Superlines has different wagering requirements for the no deposit and welcome bonus. All no deposit bonuses are subject to a 60 times wagering requirement. All deposit bonuses must be wagered a total of 30 times. With the no deposit bonus it is possible to collect a maximum of €50,00 in winnings. All forms of Blackjack, Roulette and Poker do not count towards the no deposit bonus wagering requirement. Unless stated otherwise the maximum withdrawal during your welcome bonus is 20 times the amount of your initial deposit. For more information about the general bonus terms and conditions. Please visit the Casino Superlines website. At Casino Superlines you will find multiple payment options. The most popular are Mastercard, VISA, iDeal and ecoPayz. Some other payment options are QIWI Wallet, Maestro, Giropay, SOFORT, TrustPay, Trustly and PaySafeCard. Check the payment section for a full overview of the payment options. The minimum deposit limit is currently set a €20,00. This is not bad but some other casino accept payments from a low as €10,00. Make sure you enter the bonus code ‘’BBC5’’ while making your first deposits. Withdrawing money is possible using Maestro, MasterCard, Neteller, Visa Electron, Visa, Wire Transfer or Skrill. Casino Superlines has a 5 days pending time. Payments can take up to 10 days depending on the methods you choose. The current withdrawal limit is set at a maximum of €5000,- per month. You will find more information about this in the payment section of your personal casino account. Safety and security is very important. And that’s why the Casino Superlines website is protected with a 128-bit SSL encryption. This state of the art encryption ensures all your personal data is safe. Besides that all risk is removed from any financial transactions. So you don’t have to worry about information ending in the wrong hands. And not only is Casino Superlines secure, all games are also fair! This is possible because all hands are dealt with a certified random number generator (RNG). So all available games are 100% fair, totally random and well tested. All software is audited and tested by Gaming Laboratories International (GLI). Because of this you are ensured all games meet and exceed international standards. A good though while gambling with some high stakes! This is also one of the most important parts about an online casino. Customer support! When you play a lot at a certain online casino you will always need them. Because of this Casino Superlines offers support 24/7. There are a few ways to get in touch with support. The most easy is to use the 24/7 available live chat. Simply fill in your name, your question and start a chat. You can also send an email to support@casinosuperlines.com. On the website you will also find a telephone number special for customers. Besides these options you will also find an extensive F.A.Q. on their website. In this section you will find answers to many previously asker questions. All with all we think support is sort out really good at this online casino! All with all we think Casino Superlines is a promising new online casino. Especially for gamblers who like virtual games and table games this casino really ticks the boxes. Below we will explain in a short summary what we think about this online casino. Games: Casino Superlines offers a wide portfolio of casino games. 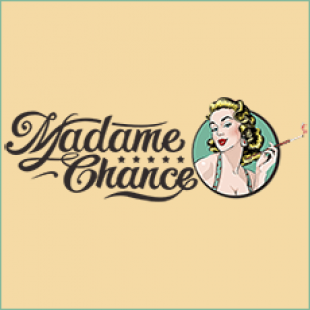 They offer a lot of slots, many table games and a nice portfolio of live casino games. Besides that they got some speciality games including virtual games and Keno. Bonuses: At the moment we have some nice and exclusive bonuses for all readers or our review. Especially the €5,00 No Deposit Bonus is great. The welcome package is also very generous and great for people who love to play with big stakes. Support: We think it is great Casino Superlines offers 24/7 customer support. The fact they have a direct telephone line is also great. Good job! Uniqueness: We don’t really think Casino Superlines has something unique. There are no special features, themes or rewards. Fairness: All games at Casino Superlines are audited and tested fair. The complete website is also protected with an 128-bit SSL encryption. This ensures safe transactions and that your personal information is secure. What do you think about Casino Superlines? Please let us know in a comment below. Start playing today and collect a €5,00 No Deposit Bonus using our bonus code ‘’BBC5’’. Make a first deposit and collect a 400% Welcome Bonus on your first deposit! A lot of players love to play on the go. And that’s why Casino Superlines website is totally responsive. This means the website will scale to the size of your screen. Simply browse to the Casino Superlines with your Android or iOs device and you will see there is no problem playing on your mobile. A lot of the available slots can also be played on mobile. Even the Extreme Live Casino works fine on mobile or tablet. Try your luck on the road anytime you want! Collect a €5,00 No Deposit Bonus. 24/7 Support (Live Chat) . Unique Scratch and Virtual Games. 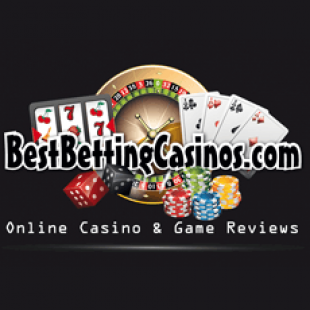 During this Casino Superlines Review we have tried out the casino. We also made a small deposit to try out the (mobile) casino and some of its games. Because of our knowledge and experience we are sure we wrote an good review. But of course we can also make mistakes. If you found any information that is untrue or outdated, please let us know by leaving an comment. Multiple restricted countries including the US and Israel. At Casino Superlines you can only pick euro's as your main currency. At Casino Superlines you can deposit using one of the many available methods. Depending on the country you come from you can deposit with EcoPayz, Maestro, iDEAL, Sofortuberwaisung, POLi, GiroPay, MasterCard, Paysafe Card, Postepay, Visa Electron, Visa, Przelewy24, EPS, Multibanco, QIWI, Trustly, TrustPay, UseMyServices, Easy EFT or Zimpler. Want to cash out some winnings? At Superlines you can withdrawal money using your Maestro, MasterCard, Neteller, Visa Electron, Visa, Wire Transfer or Skrill. Withdrawals have a 5 day pending time. The payout can also take up to 10 days depending on the withdrawal method. Casino Superlines pays out a maximum of €5000,- each month. Casino Superlines is available in many different languages. At the moment the website is translated into 10 different languages. 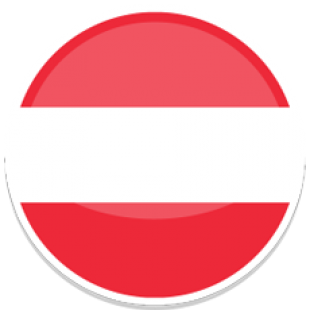 When you browse to the website you can choose for Danish, English, Finnish, German, Italian, Norwegian, Spanish, Swedish, French or Russian. Casino Superlines is a sister website of OrientXpress Casino and Africasino. All websites are runned from without the Rocksolid Affiliates Program.